The novel is extremely character driven. Too often I find myself dulled by the cliched characters of many young adult novels. Thankfully, Lu introduced a cast filled with intriguing and intelligent characters. From the moment the reader is introduced to the two main characters, it is obvious that Day and June aren't average teens. Both can scale scale ten story buildings in a matter of seconds and defend themselves better than any soldier. Not only are they physically advanced, but they are also incredible strategists. I cannot explain how relieving it was to finally feel impressed by characters' observations and decisions. I only wish I could be as BA as fifteen year-old June. Don't even get me started on Day- I might never stop ranting about his overall awesomeness. As the book alternates between Day and June's points of view, we are able to bond with and understand both teens. The futuristic world Lu created is both believable and engaging. While many questions are left unanswered, (Why did America fall apart? How far in the future is it? Why is the Republic at war?) the final chapters hint at the potential epicness to come in the future sequels. With every chapter, a little more of June's world unravels as she discovers the secrets of her world. I'm dying to know more about the Republic's motives and where June and Day will go from here. My curiosity may drive me mad before the next book is released. 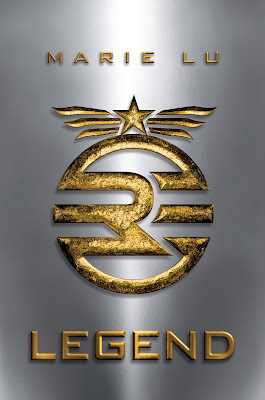 The entire time I was devouring Legend, I couldn't help but compare it to several other infamous novels. In no way does the novel leach off of other stories' plots, but Lu's style is extremely reminiscent of books such as Ender's Game by Orson Scott Card and 1984 by George Orwell. Personally, I enjoyed reading a teen novel with calculating characters and adult-level concepts. One can only take so many "mysterious, beautiful strangers" and insta-romances. 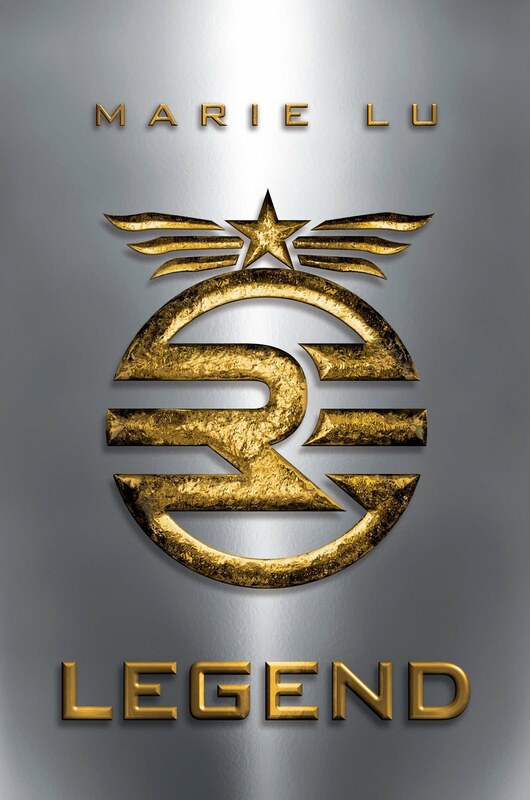 If you, like me, are dying to get your hands on more epic dystopian literature, then Legend is right up your alley. 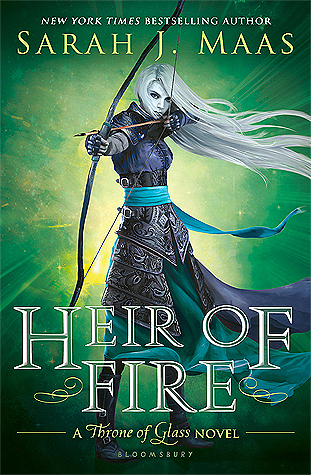 Unlike many other teen books, romance is put on the back burner while action and plot are kicked up a notch. Refreshing and addictive, the story will hook you in the first chapter.